Roadmonkey, a California based philanthropic adventure travel company, and Catalyst Foundation have joined forces to build a house in Vietnam! 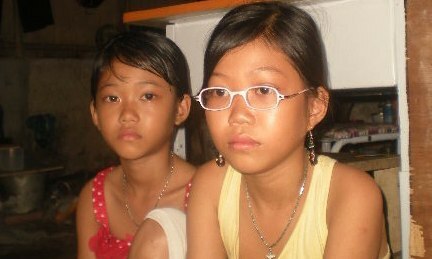 Meet two orphaned girls (12 and 9 years old) who with their uncle live in in a tiny shanty in Rach Gia. The girls' parents both died of cancer, leaving the them homeless until the uncle took them in. 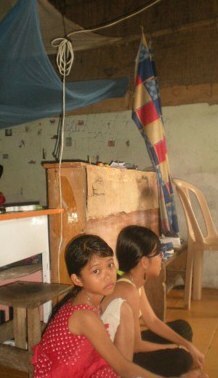 The Roadmonkey team in October 2011 will build a home for for this family. The Catalyst Foundation working in partnership with Roadmonkey has the plans and materials to construct a small house in October 2011. For details of the plans click here. View a YouTube interview recorded in their current home. "I am Nguyen Hue, 6th grade 11 years. My younger sister is in 4th grade. My uncle is 39 years old, and he works on the street (finding work when he can). I lost my dad when I was 2 years old, and my mother died last year. How would you like Catalyst to help you? I would like a house." Roadmonkey is a philanthropic organization which combines a challenging adventure with a hands-on volunteer project that offers a transformative international experience. Travelers visiting Vietnam will directly contribute to the welfare of the local people. For more information on the trip click here. Participants in the Roadmonkey October 2011 program can make tax-deductible donations by mail or via the internet. Donations can be sent by check or via the internet. Donate to the Roadmonkey Vietnam Project. put - "Roadmonkey Vietnam Project."